The El SID pumps have no seals which can leak, and no bearings to get hot or brushes to spark -•they are•explosion proof. A 20-Watt driver used with 12-volt battery systems. The speed of this driver will change with battery condition (voltage). Often used in radiant floor application, etc. ••Used as boiler and radiant floor circulation pump. Use 2A in-line fuse. • Power requirement is less than half that of conventional AC pumps powered by inverter. 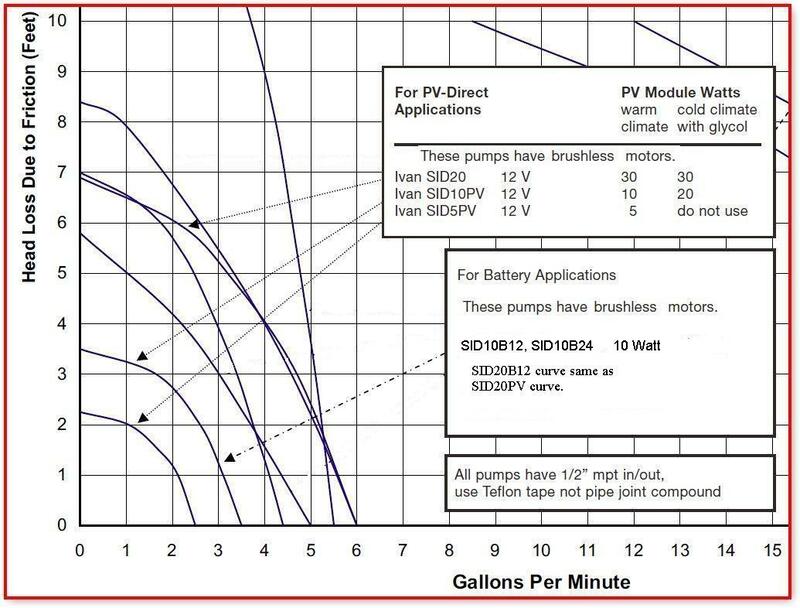 • Additional energy savings can be realized by using individual zone pumps instead of a single pump with zone valves. This method can reduce power consumption by 75%. • Energy saving greatly reduces the size and cost of the power system required. ••High temperature - 250•F fluid max.